Amelia is wearing Emma skirt with 88 Queen st tie-dye gym suit. The perfect outfit for this energetic fire ball. 88 Queen st. Comfortable cotton lycra and light rayon fabrics really sets you free ! 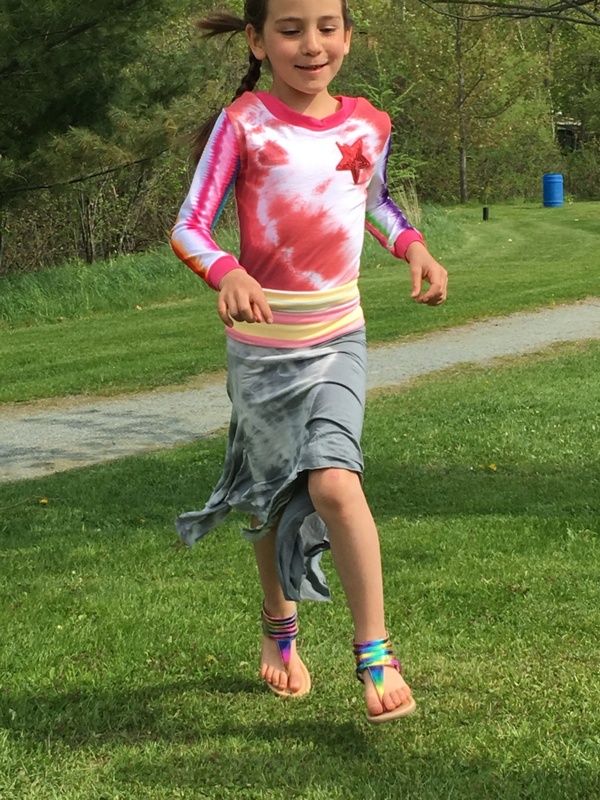 Amélia is from North Hatley, she plays soccer and pinches you when she wants to tell you she loves you.